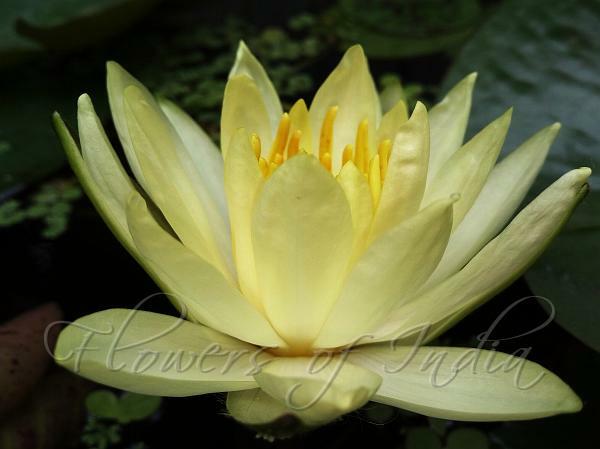 Lemon Mist Water Lily is beautiful plant which brings a hazy glow of pale yellow to the surface of your pond. 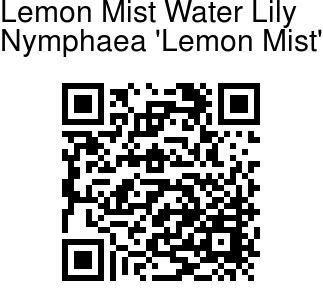 The Lemon Mist bears sun kissed blooms and large quintessential lily pad leaves. The leaves are mottled with purple splotches. I The plant spreads to a maximum area of around 1.0-1.5 m, making it perfect for a large pond. Its beautiful flowers stay just above the surface of the water and give out a pleasant lemony scent. Plant this lily in spring in an initial depth of 30-60cm in a spot where the flowers can enjoy as much full sunlight as possible. As the lily grows, it may be lowered to a greater depth. Flowering: May-October. Identification credit: Poonam Gupta Photographed in Delhi.